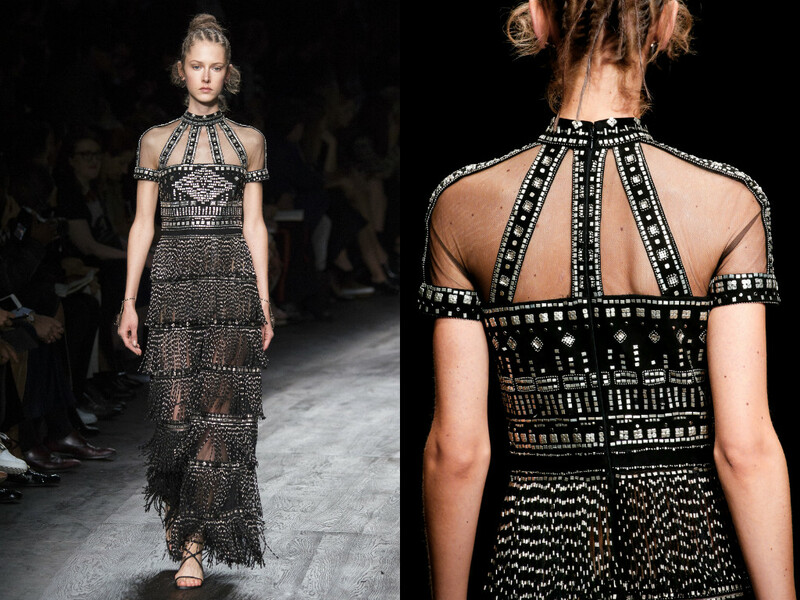 This was different from Valentino. 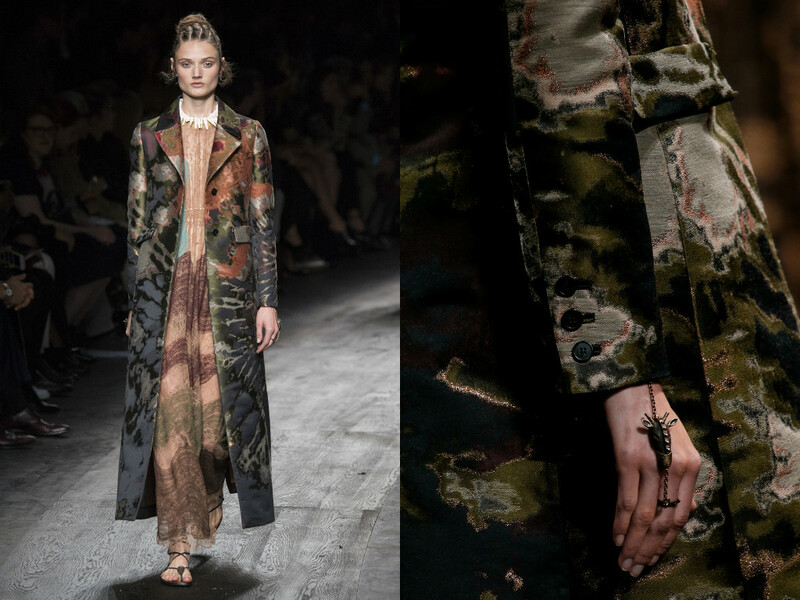 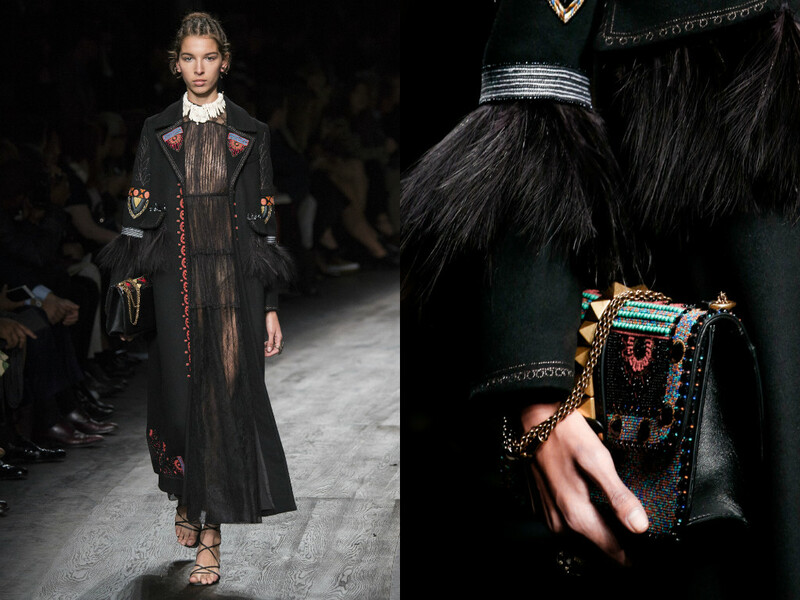 Over the past few collections, Maria Grazia Chiuri and Pierpaolo Piccioli have really ventured into cultural influences for the Valentino collections. 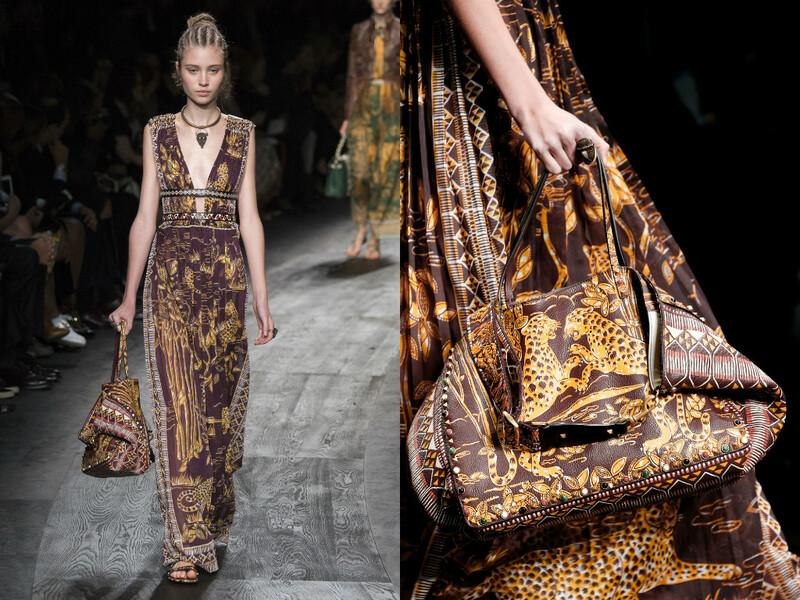 Stepping out from the Italian feel of fashion, the looks have been heavily inspired by Africa, Gladiatorial ages and Ancient Rome so to speak. 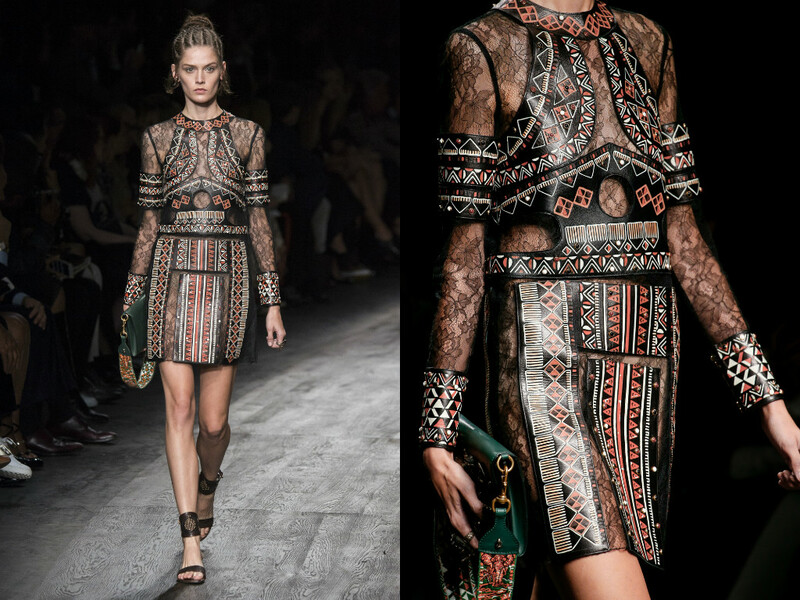 When you visit a Valentino store, you don't expect these pieces. 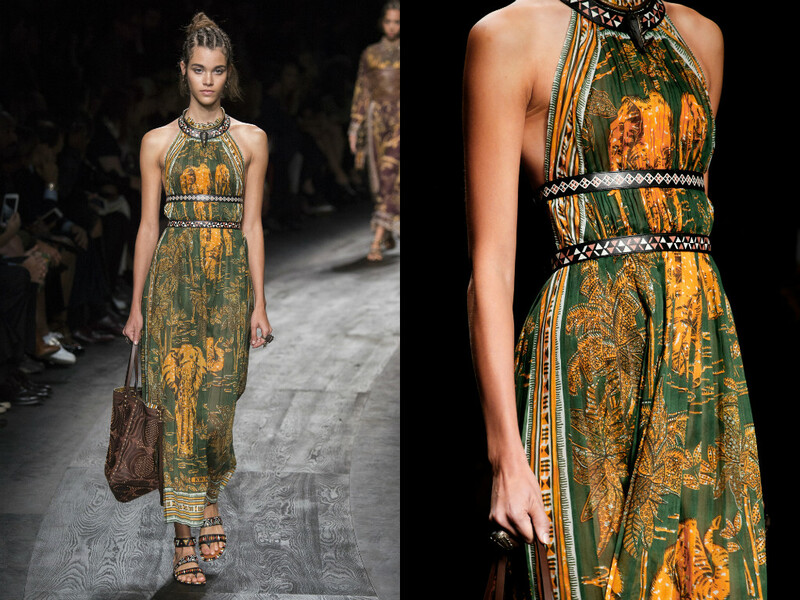 It's so luxurious and rich. 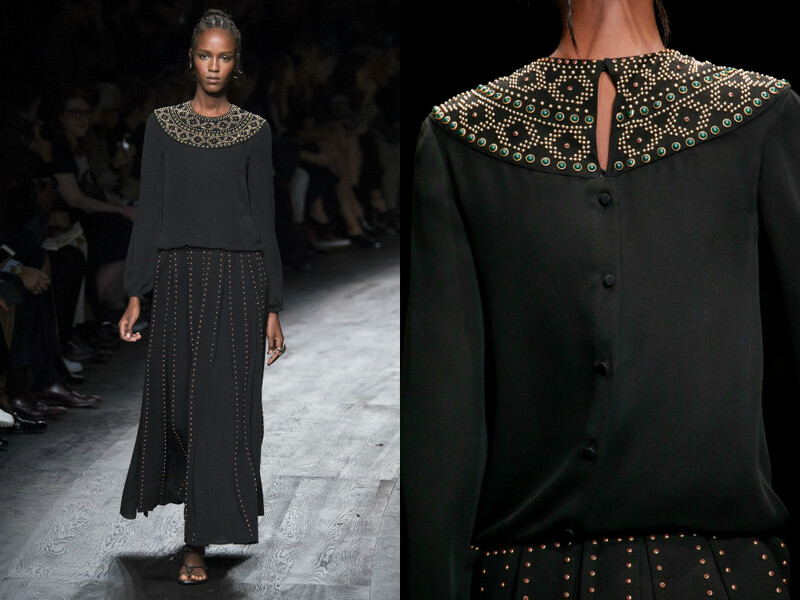 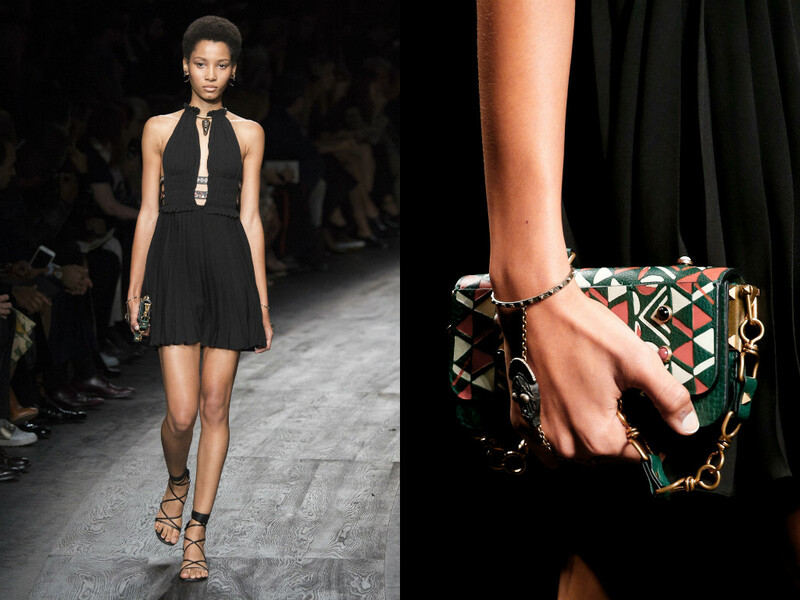 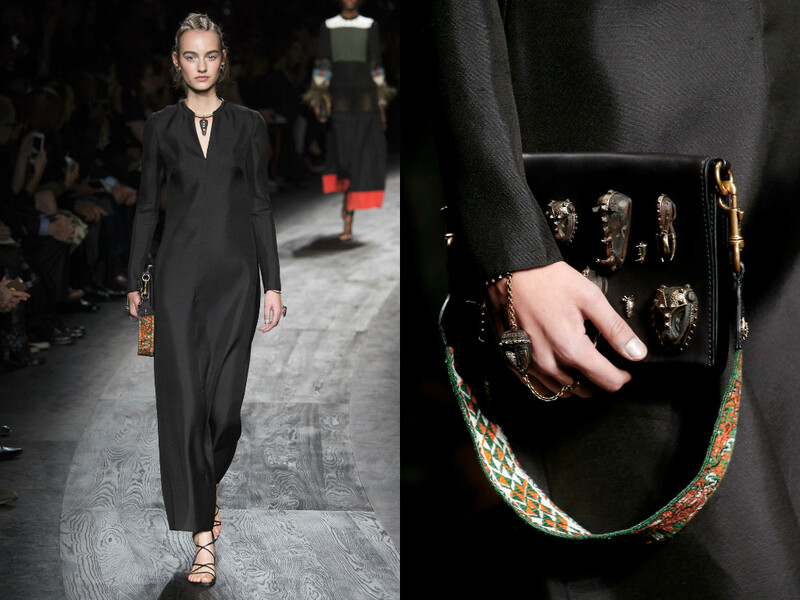 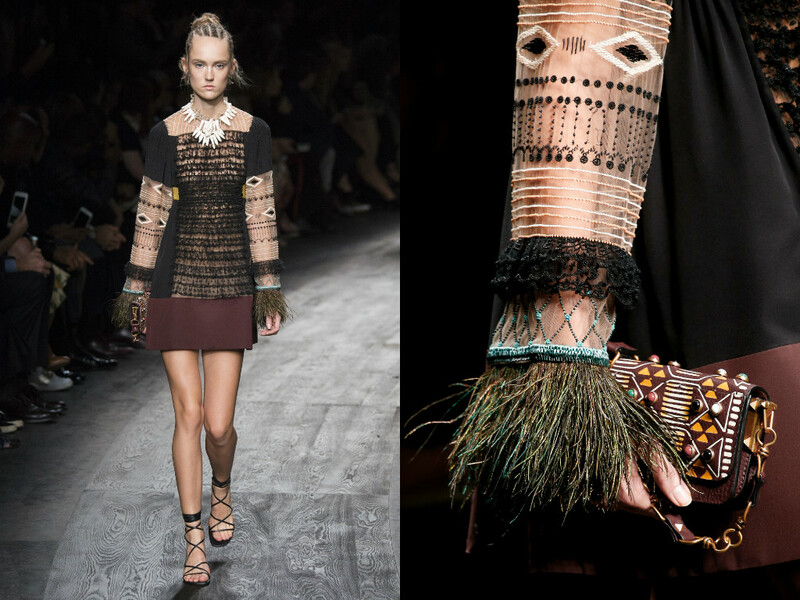 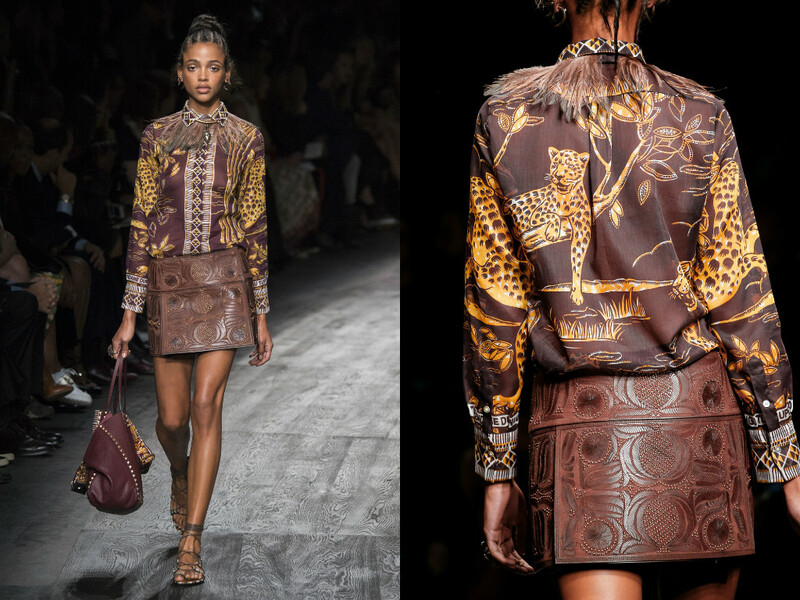 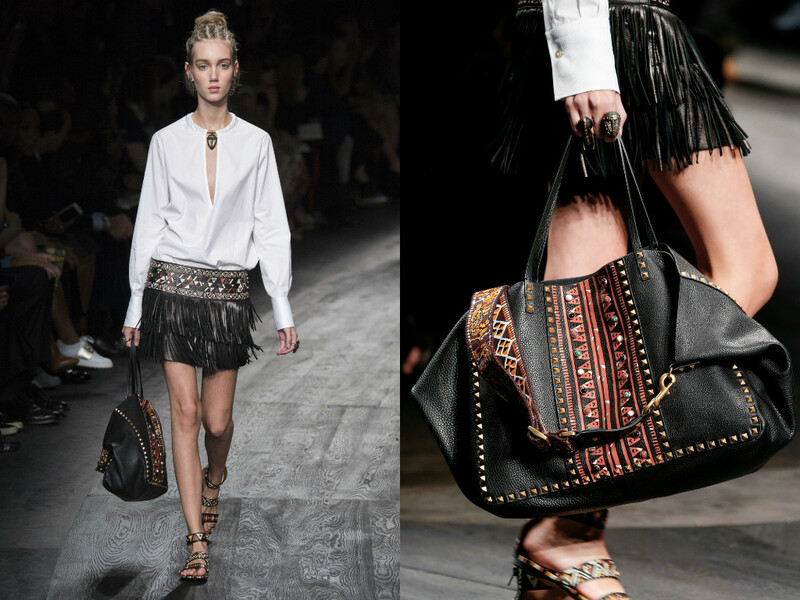 For example, the rockstud lines that are produced - they really do clash with the African feel of the clothes. 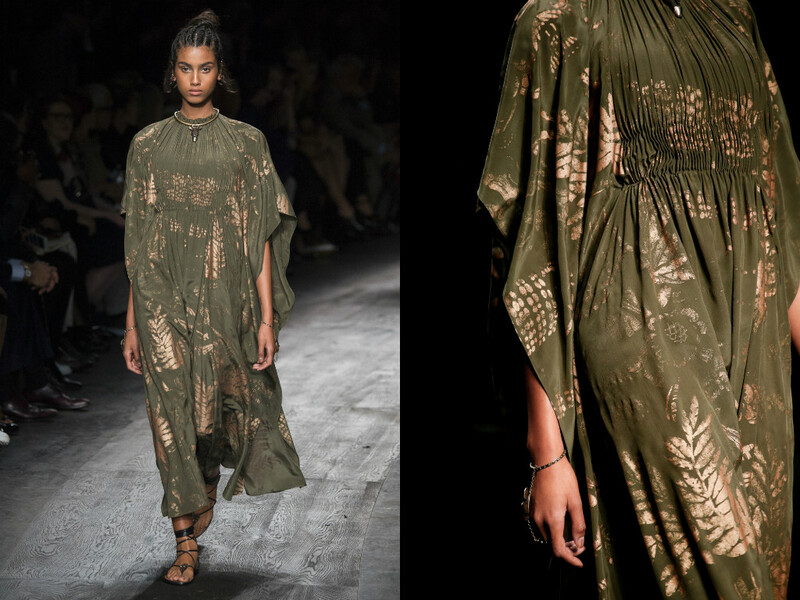 But ... having said that, it just works, and it's somewhat refreshing to see something completely different grace the catwalk this Spring/Summer. 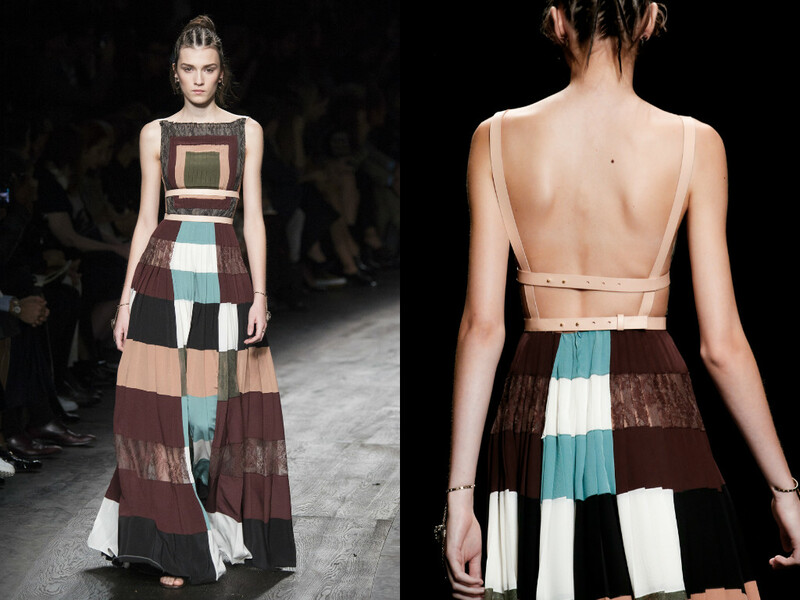 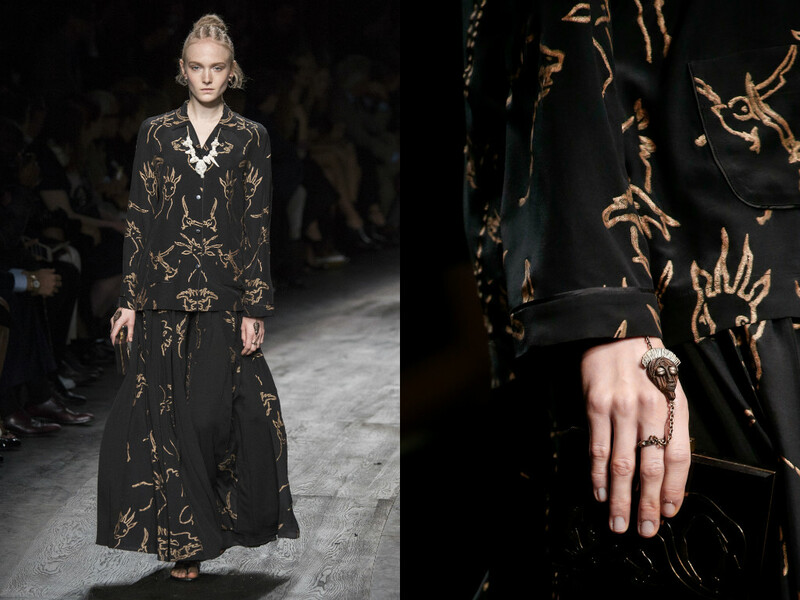 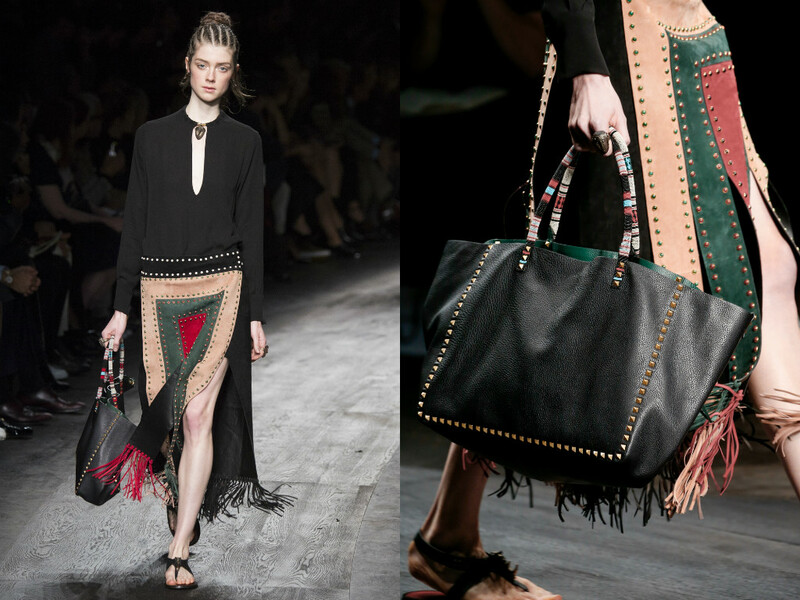 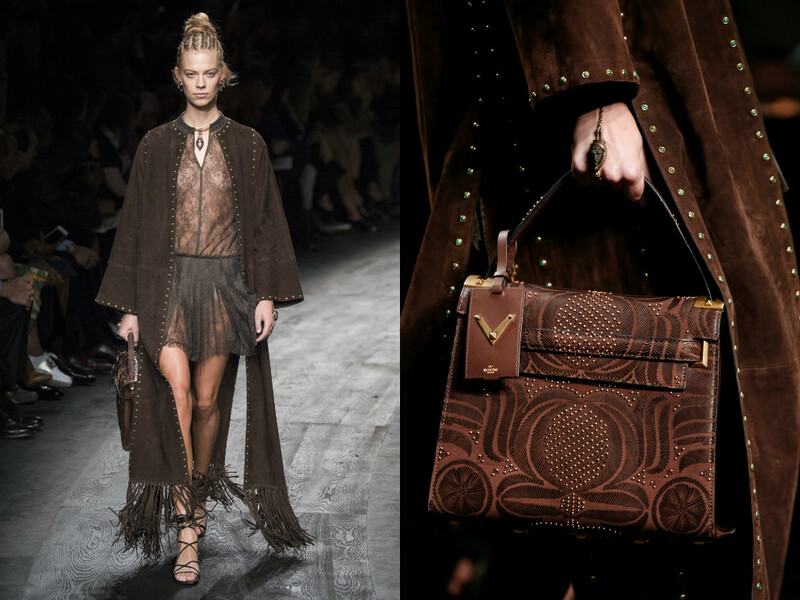 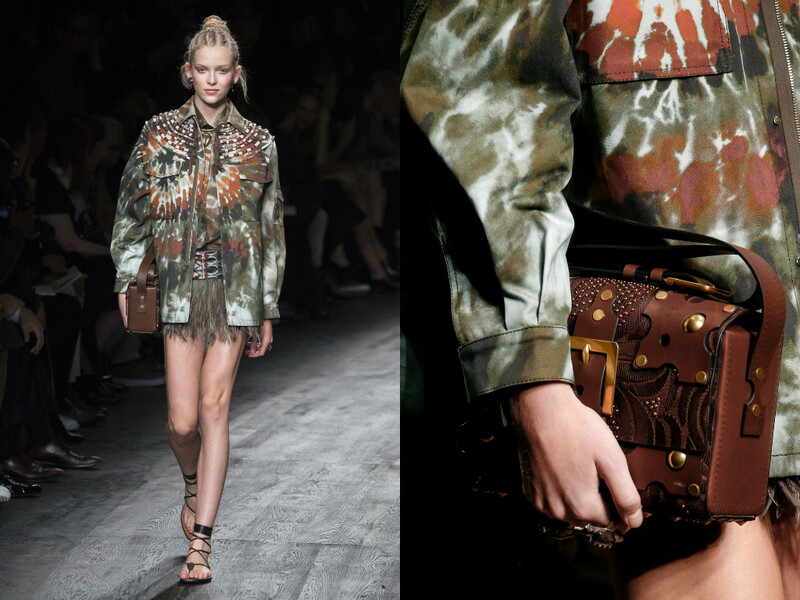 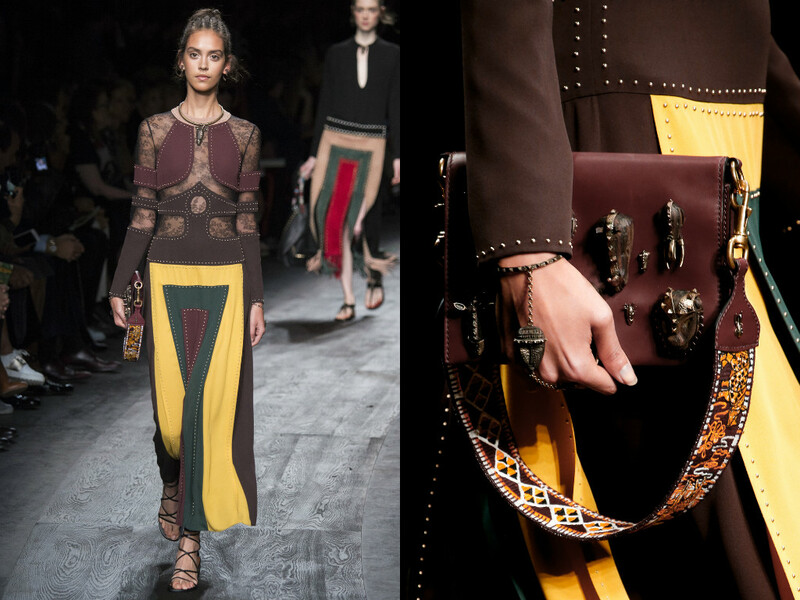 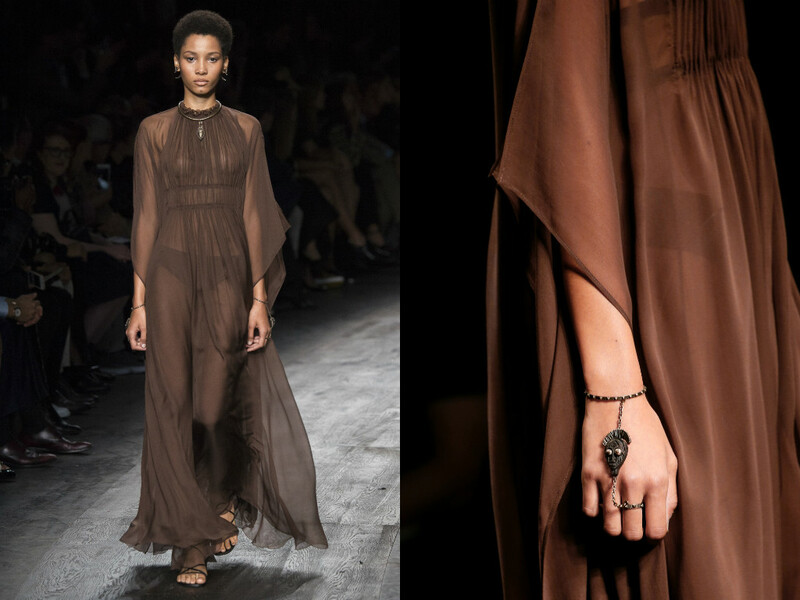 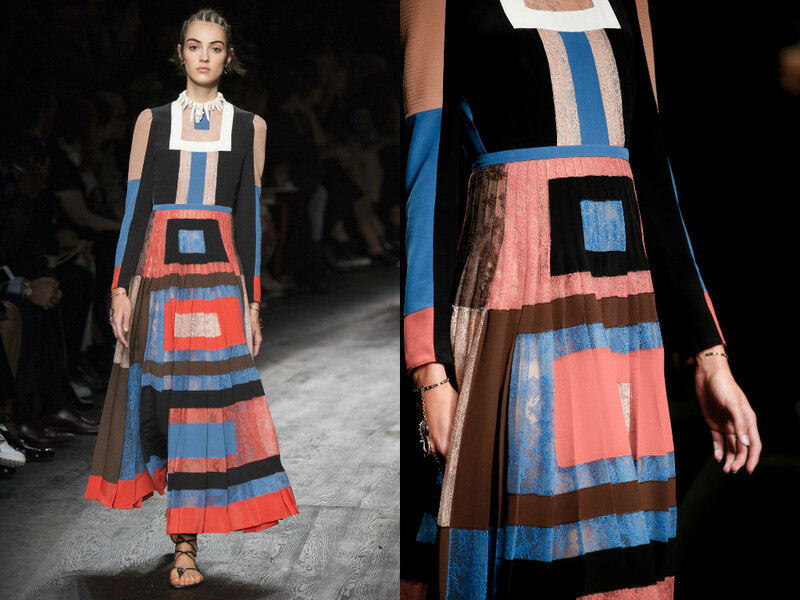 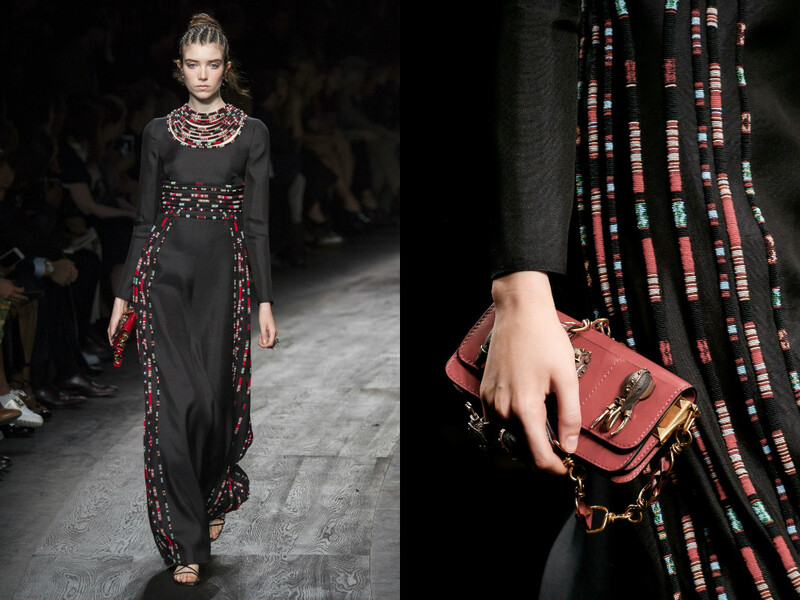 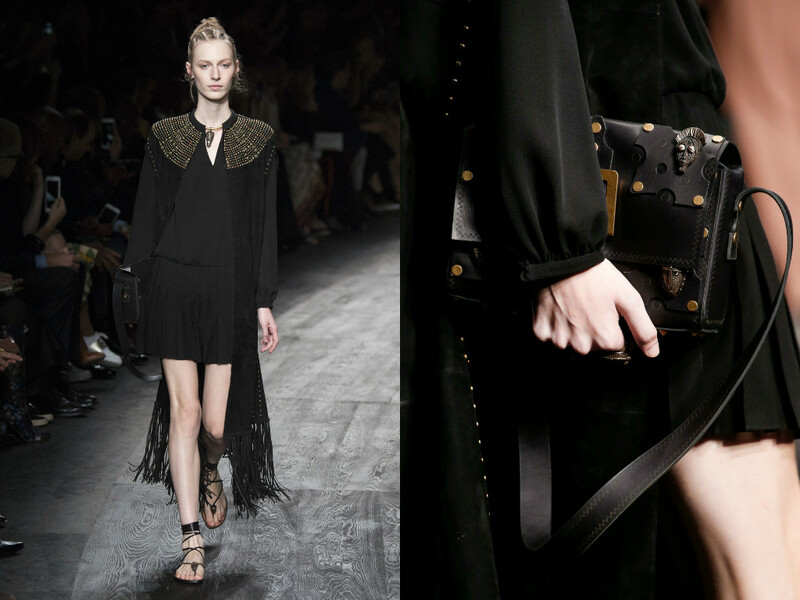 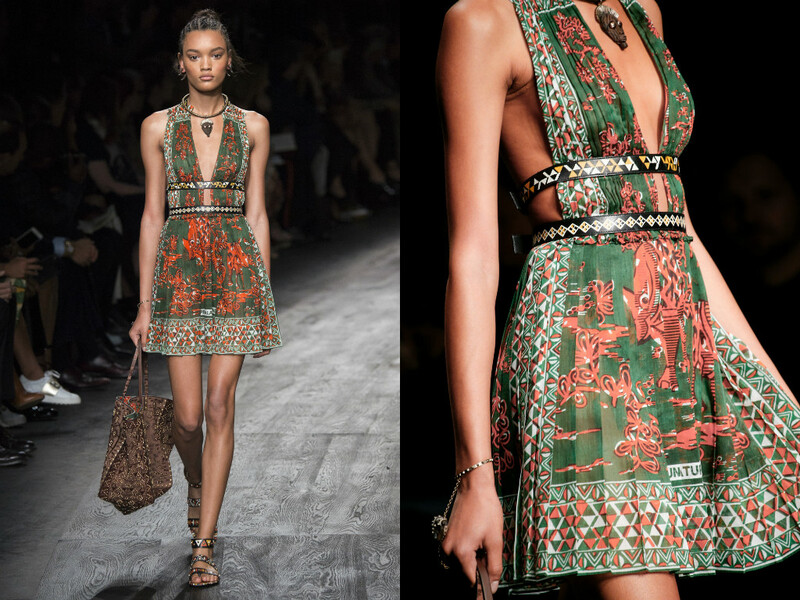 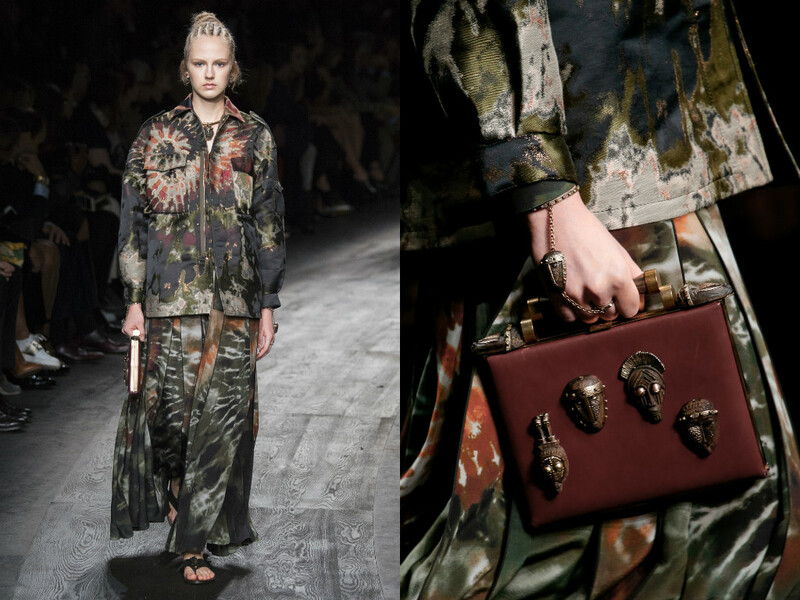 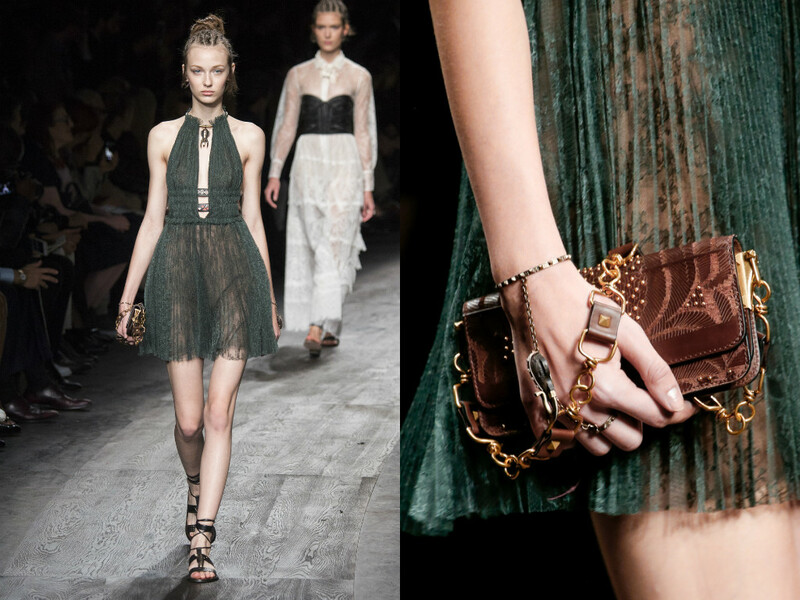 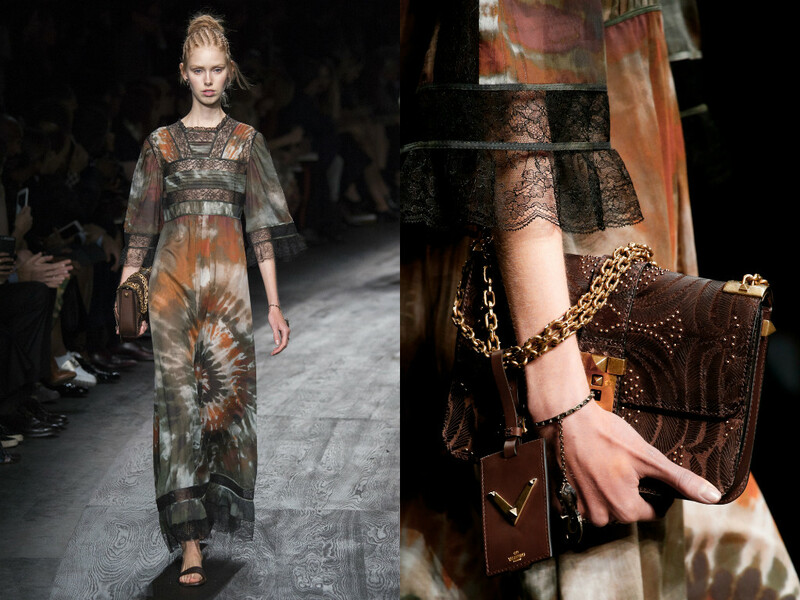 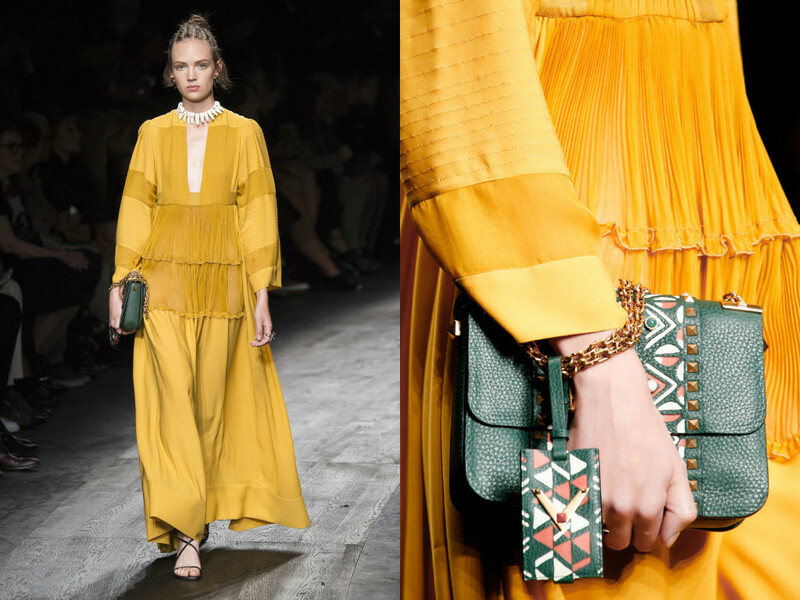 Valentino always exceed expectations, and they did this again with flying colours this season. 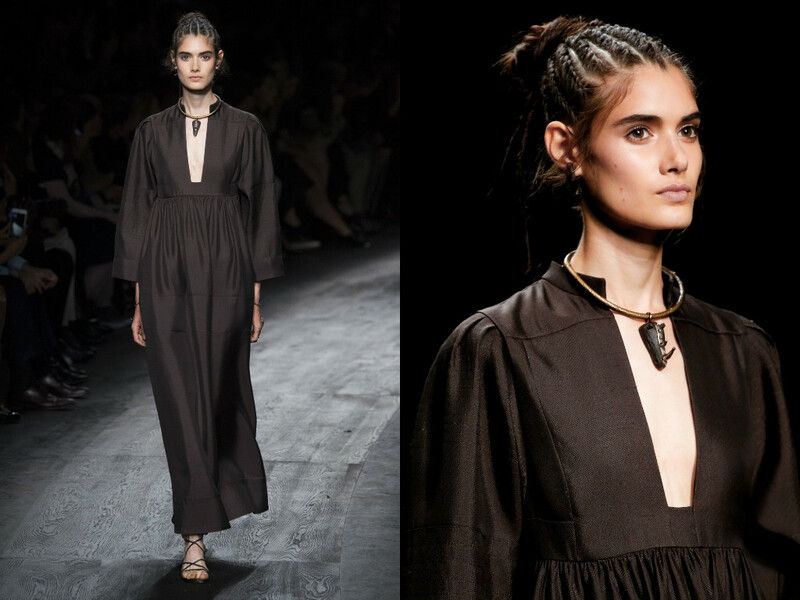 Over the past year, many people from African countries have been crossing the Mediterranean to arrive at Southern Italy. 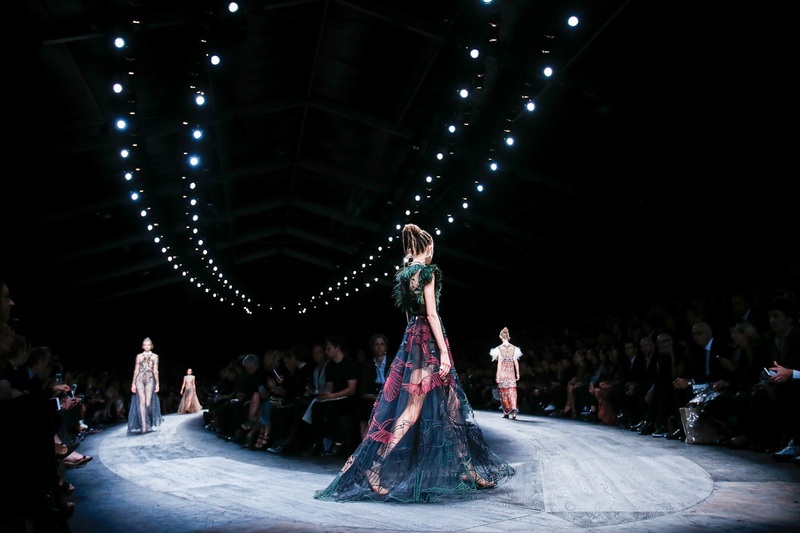 Italy has been dealing with the heartbreaking crisis of unwell refugees falling ill whilst on travel, creating chaos and sadness around the issue. 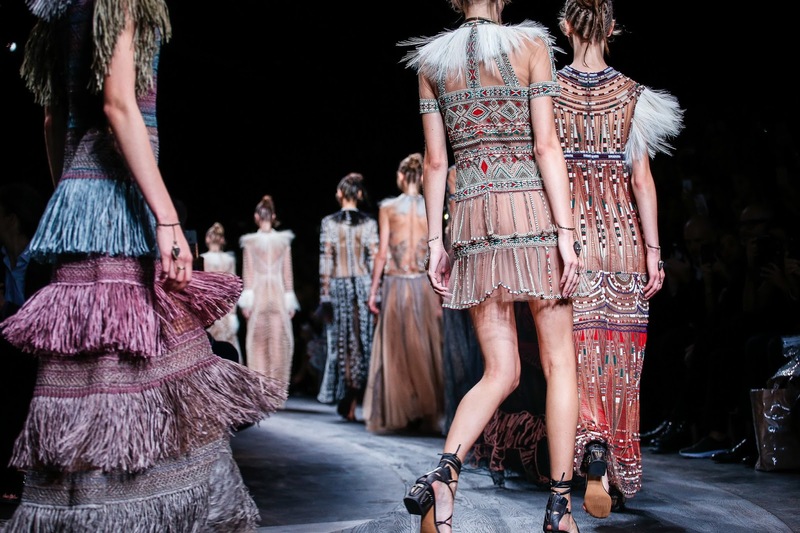 Maria Grazia Chiuri said; "We probably feel that the greatest privilege in doing our work is that fashion can give a message." 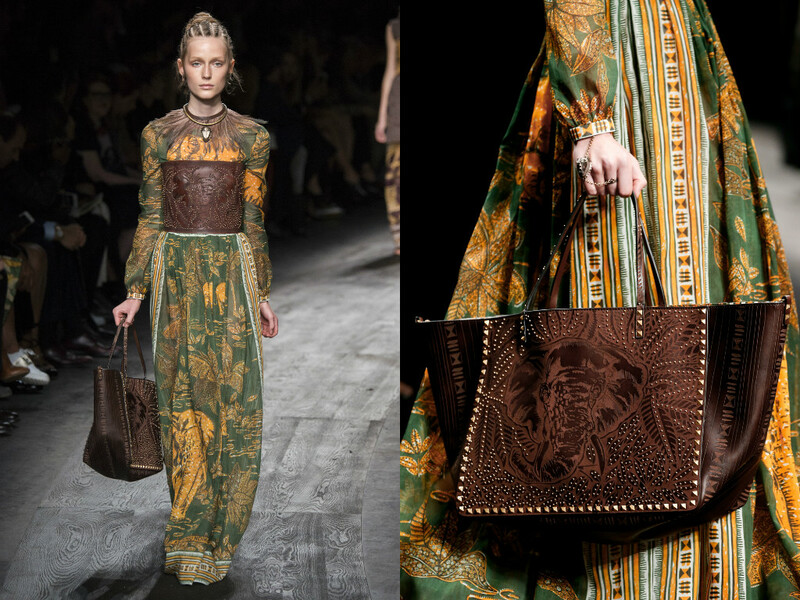 She, as a designer, is trying to send the message of unity and love, with acknowledging the African Culture and embracing the good in the hard time. 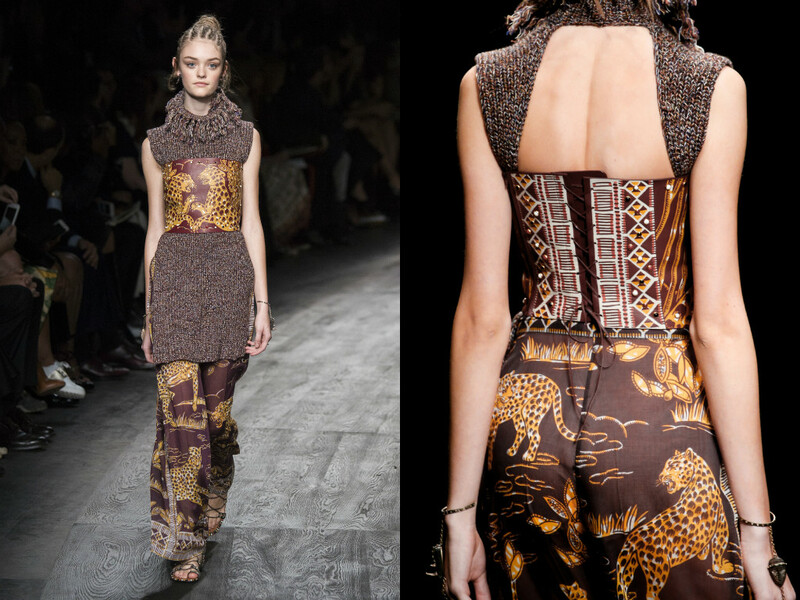 In the aspect of the look of the collection, it has been a huge success. 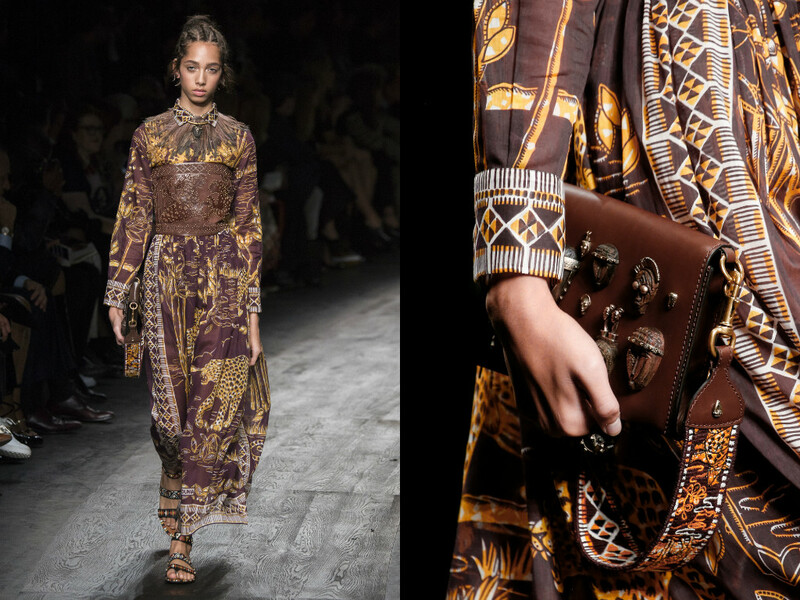 The intertwining of Italian and African fashion coming together to produce a perfect collection for Spring/Summer. 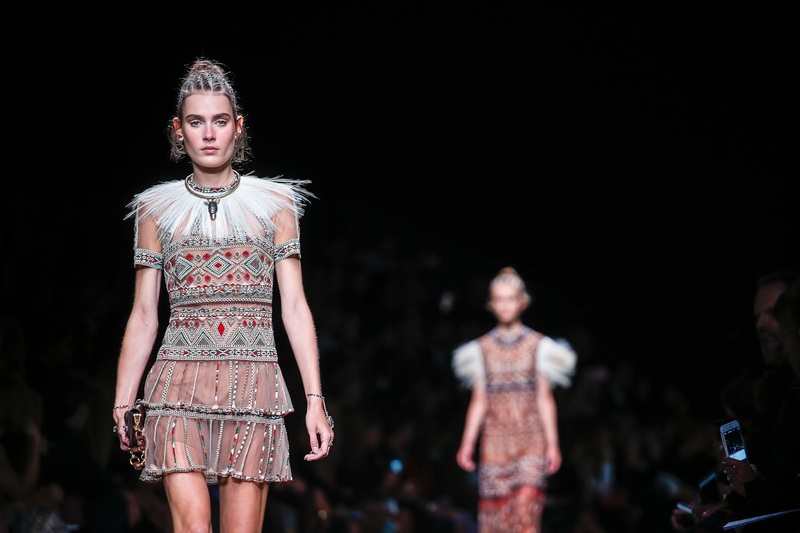 The textiles of the collection was fantastic, and the detailing and work that has gone into this Ready-to-Wear collection is noticeable at a first glance. 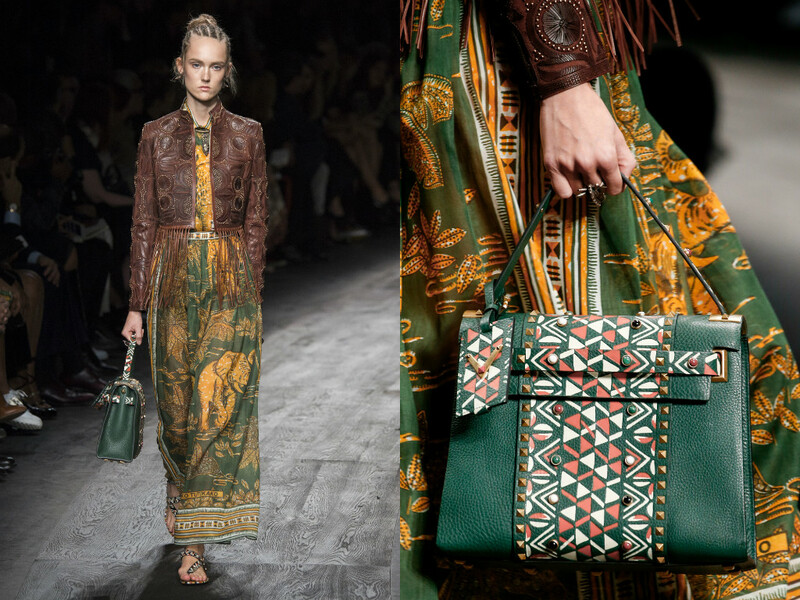 They've used African textual patterns and fabrics to really create the look, but teamed with classic Valentino looks to show everyone that behind this heartfelt collection - Valentino is still here and ready to rock the summer. 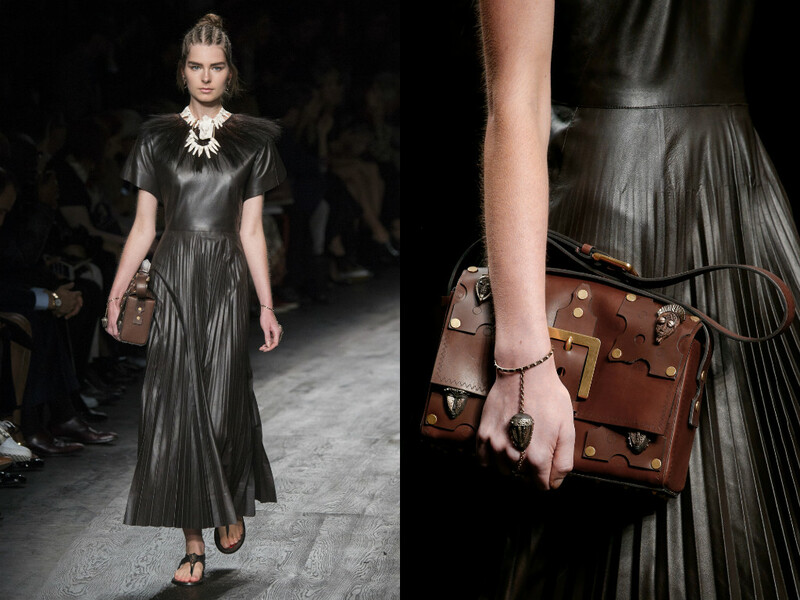 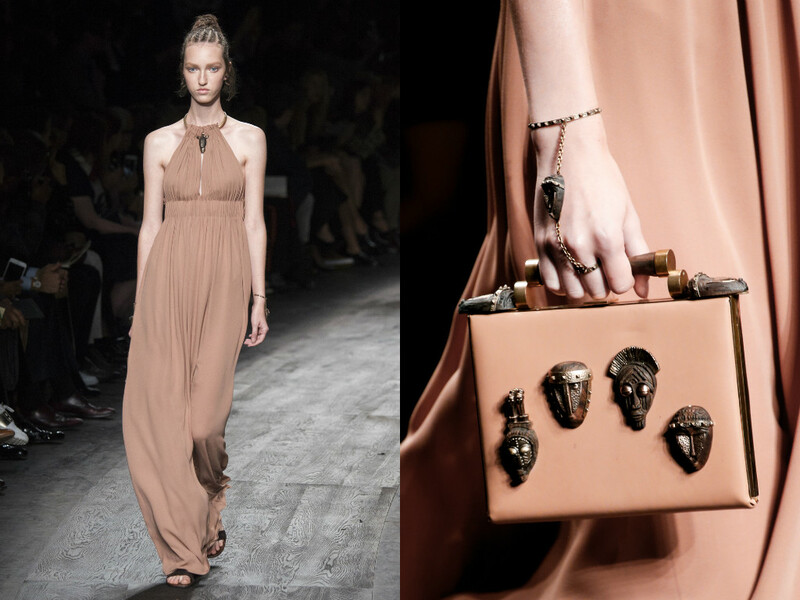 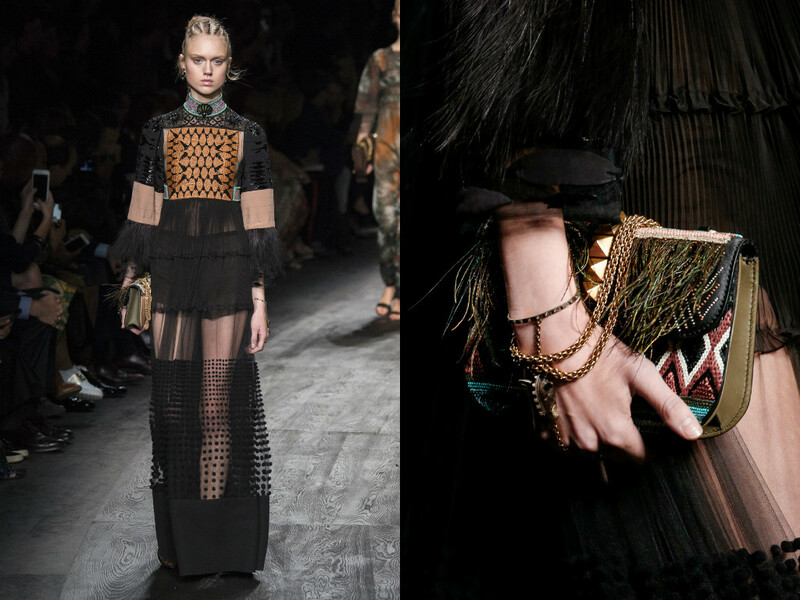 The accessories were completely different to anything Valentino has come up with before. 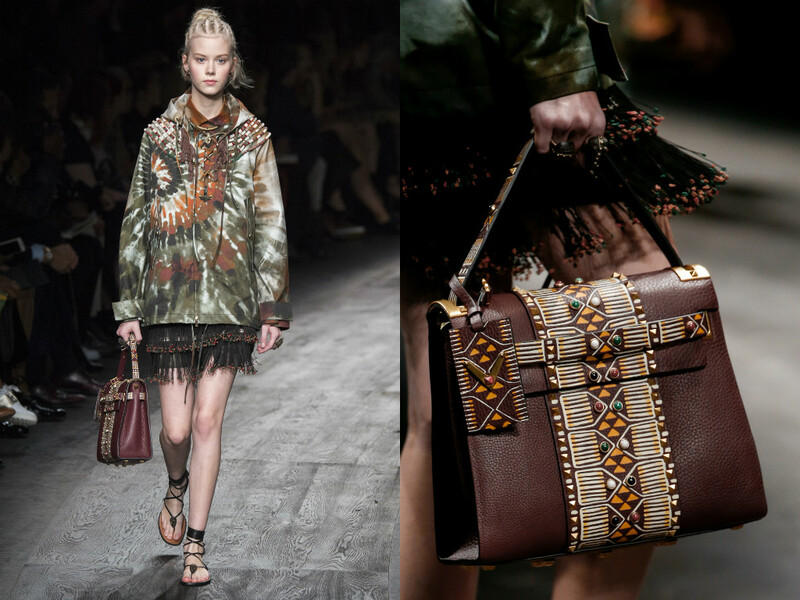 The accessories were the classic shapes we are used to, but again, with African textual patterns and fabrics - highlighting the new feel of the collection which was showcased in Paris. 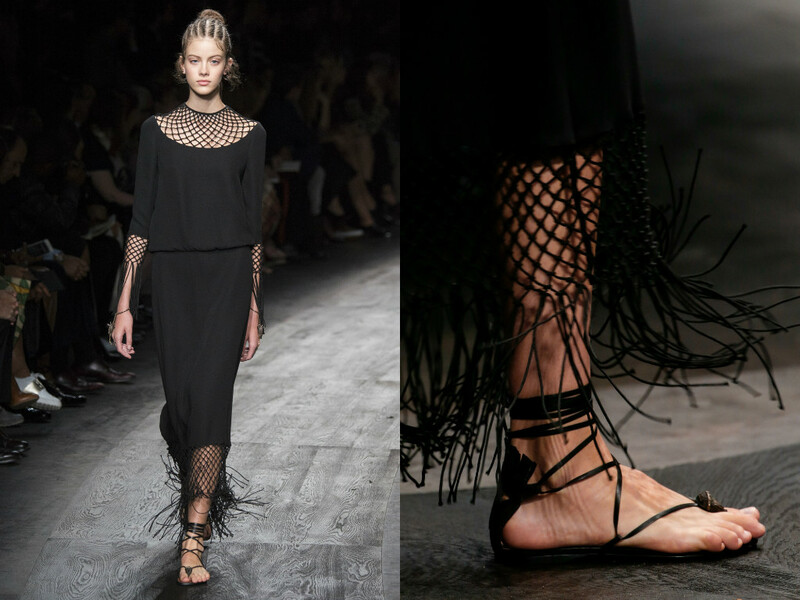 The shoes really did emphasis this influence with scrappy leather sandals - which somewhat resembled the Ancient Rome sandal we all know and love from Valentino. 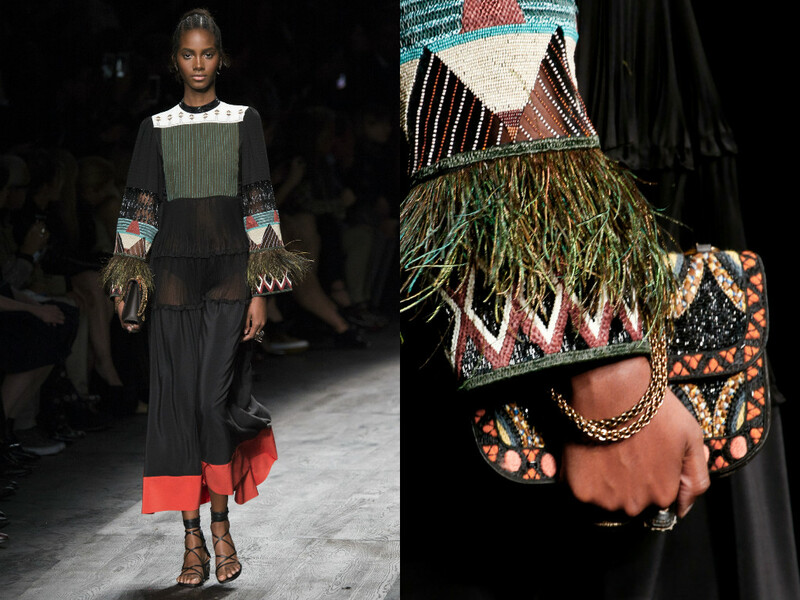 Some of the shoes had beautiful embroidery and patterns on them - giving us something new. 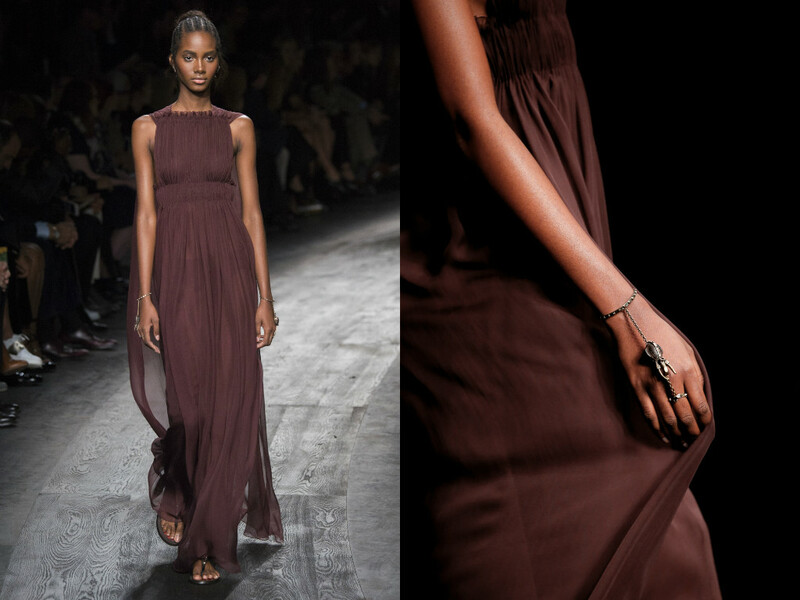 Although I am a firm believer in "Less is More" ... it's always amazing to see a collection with a keen attention to detail. 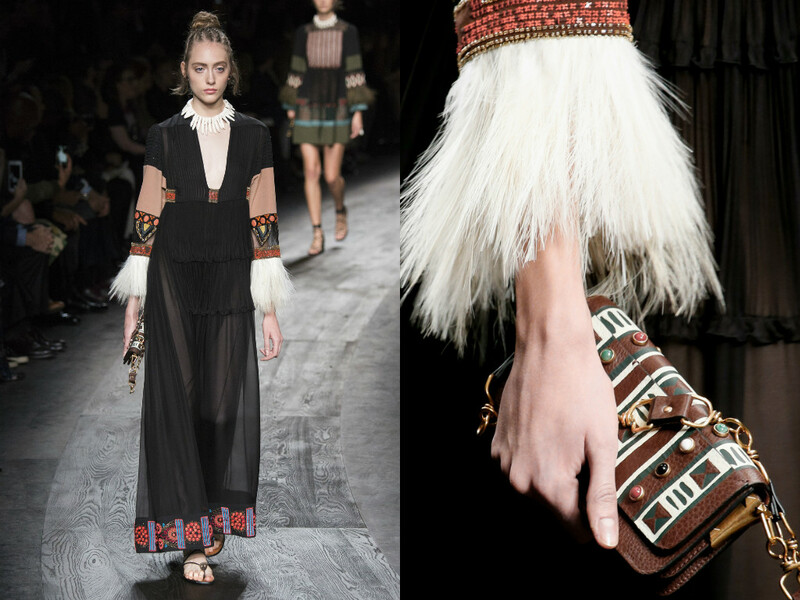 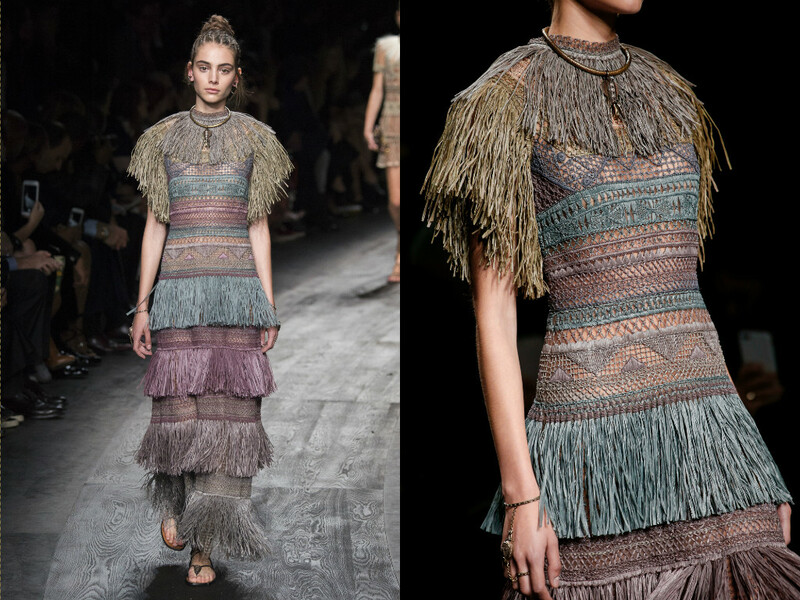 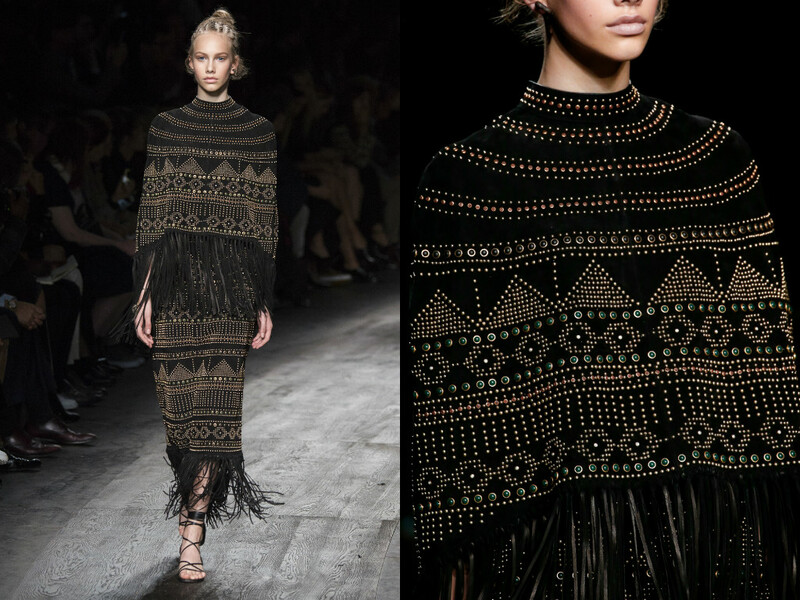 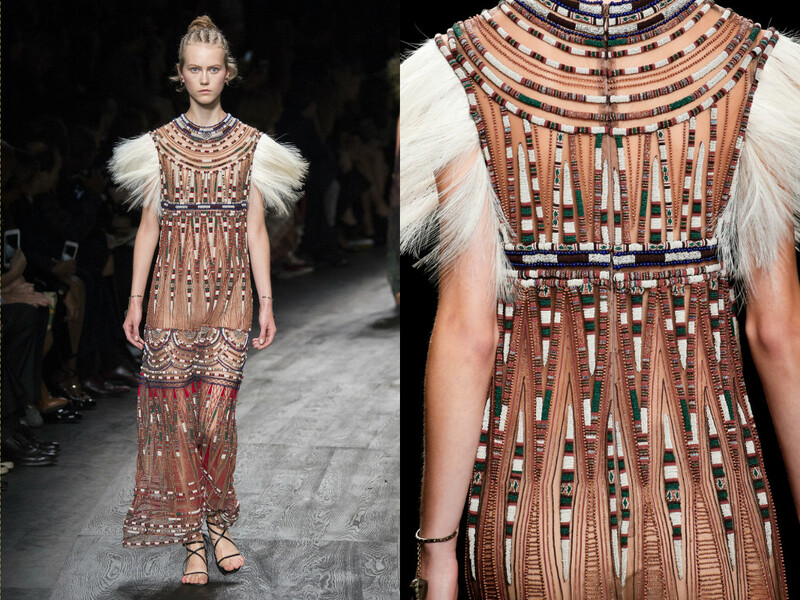 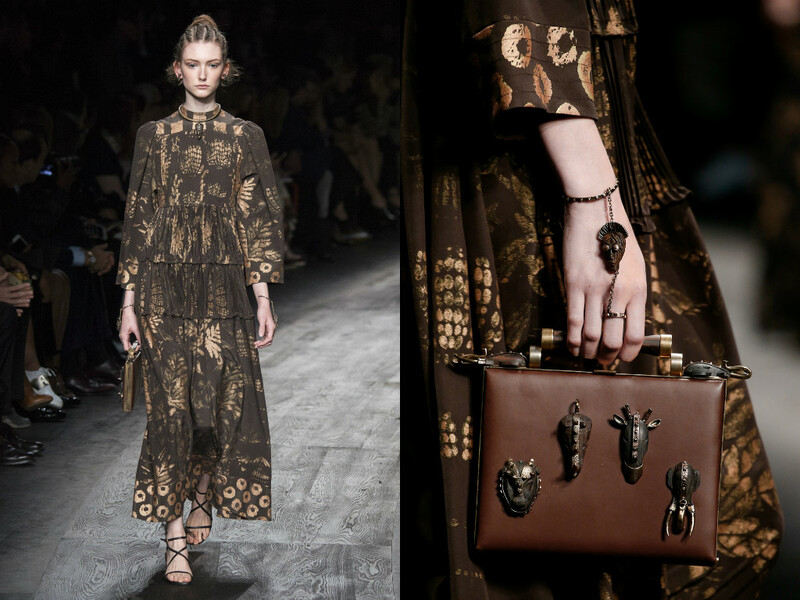 With past collections I have wrote about regarding Valentino, this collection kept the tribal influence throughout every look. 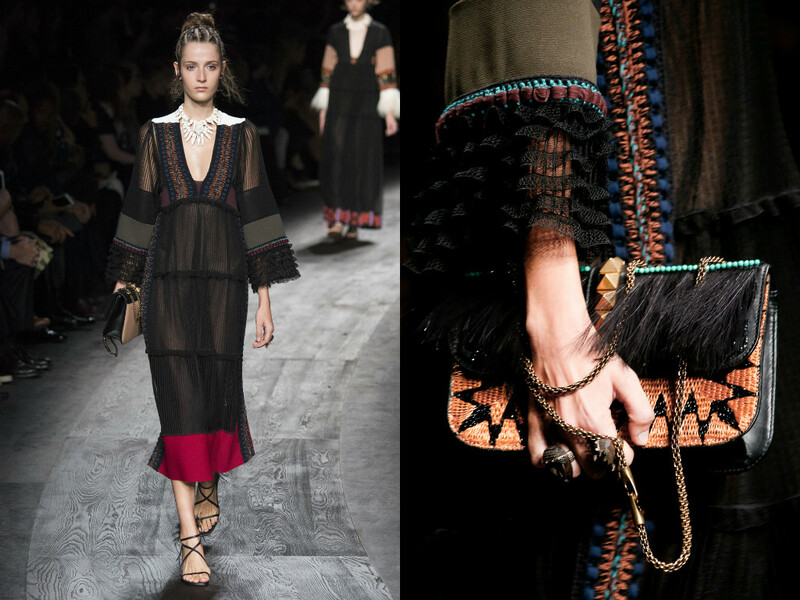 Usually with Valentino, I usually say there are many influences and collections intertwined into one show - but the designers seemed pretty transfixed and inspired by the cultural vibe. 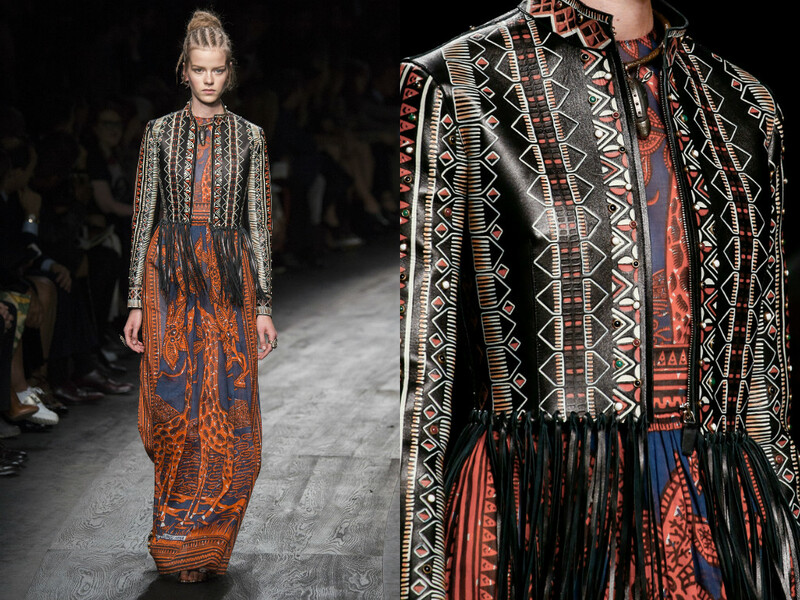 Bohemian, Tribal and festival looks are always a favourite during the summer months. 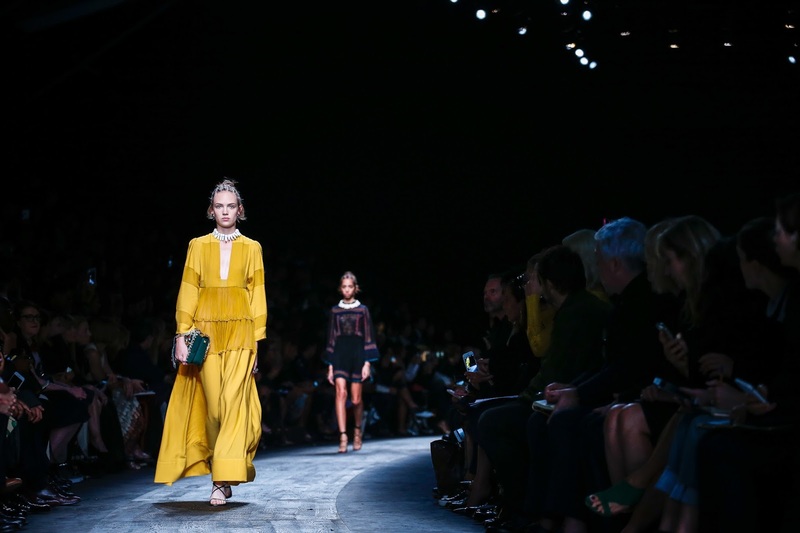 All fashion retailers play it safe by bringing in pieces that reflect that feel. 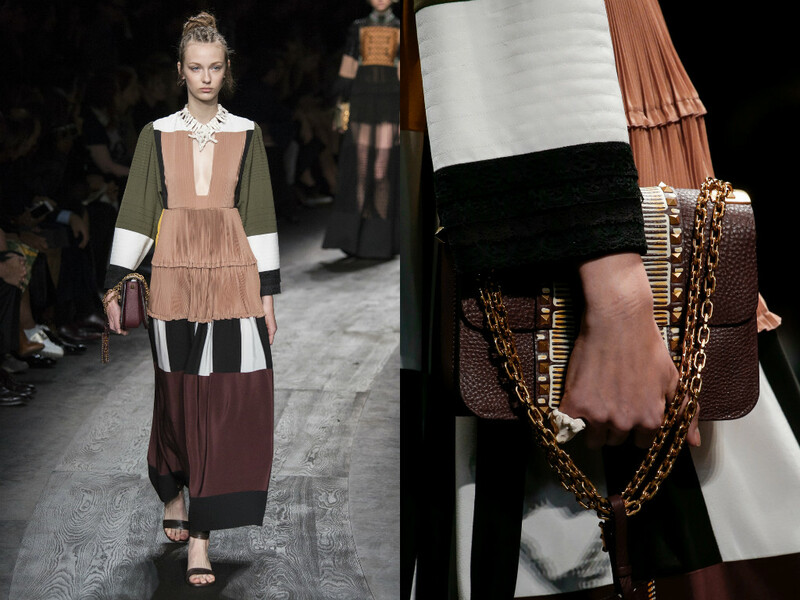 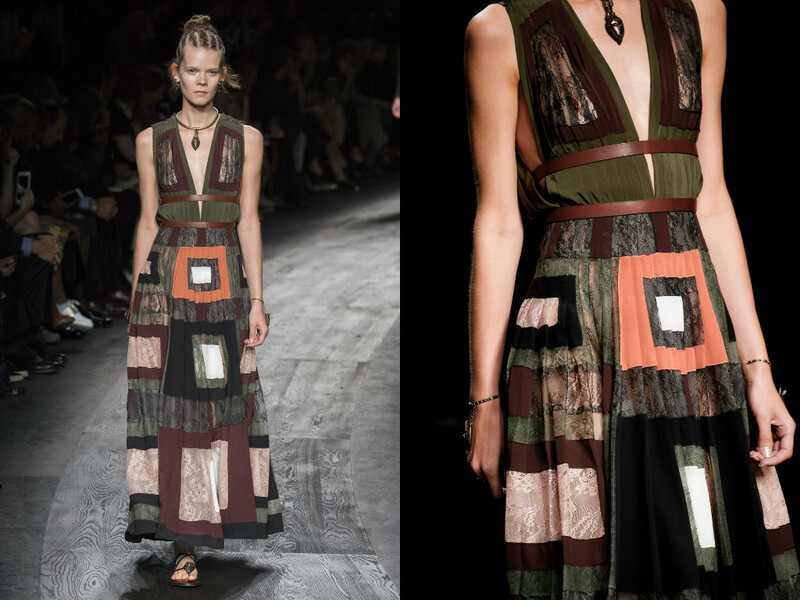 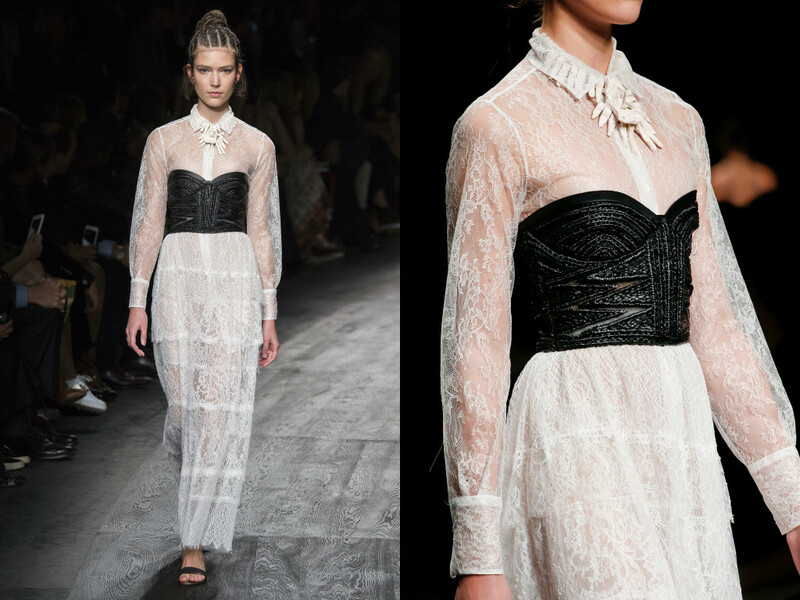 Valentino, however, have given it a totally different look... and I absolutely love it. 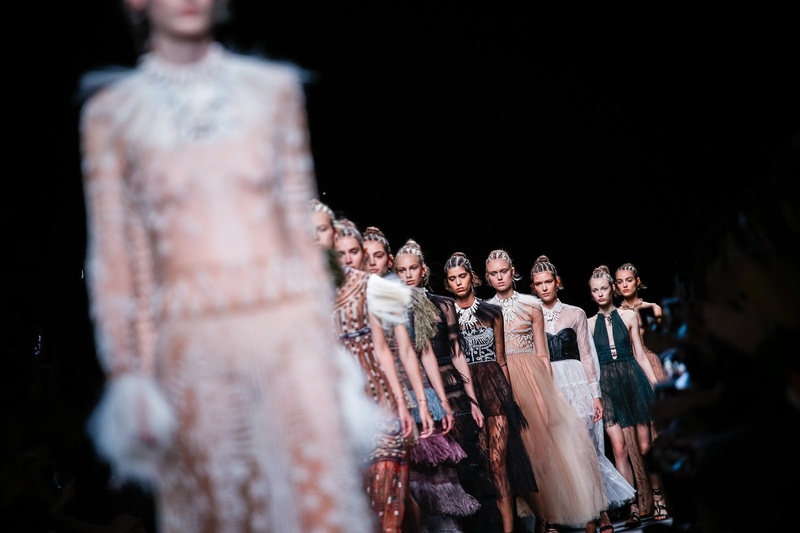 I particularly loved the beautiful dresses at the end of the show. 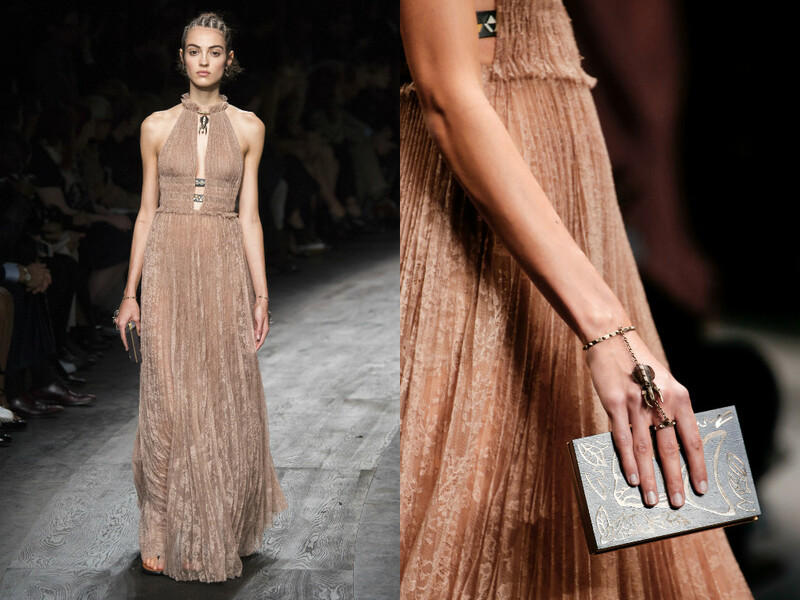 The sparkles, the embellishment and the delicate fabrics had me gasp in awe. 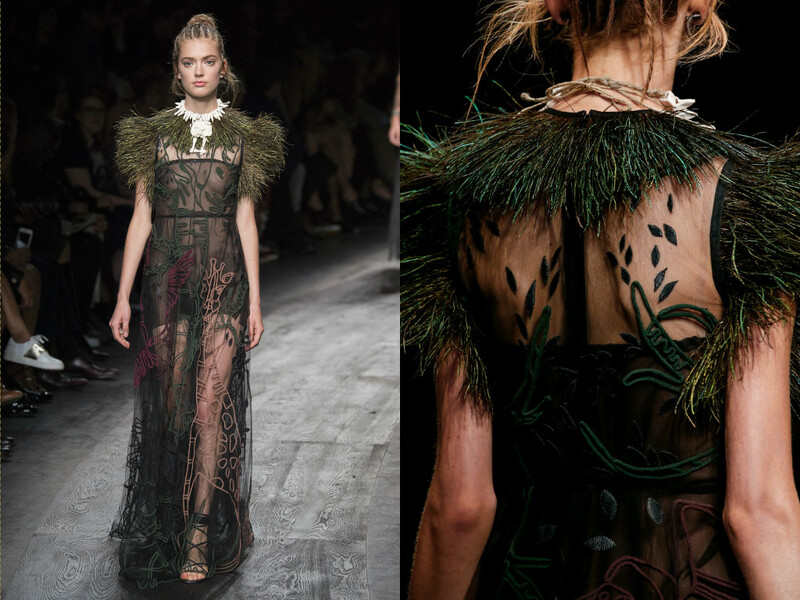 Absolutely mesmerisingly beautiful.